A French antiquities team working in Al-Kharja's Deir area, New Valley governorate, discovered a big plant for potteries, dating back to the third century. The site included a large number of rare pots which had been produced for trade purposes and distribution in distant areas. In terms of production and shape, the pots were the first of their kind to be discovered in Egypt or any other place in the world. As part of an integrated Deir Castle development project, another collection of pots were found by the same team. The largest known fortress from ancient Egypt's days of the pharaohs has been unearthed near the Suez Canal, archaeologists announced on Sunday. See the above two page article for more. The massive fortress, discovered at a site called Tell-Huba, includes the graves of oldiers and horses and once featured a giant water-filled moat, scientists said. The discovery dates back to ancient Egypt's struggle to reconquer the northern Sinai Peninsula from an occupying force known as the Hyksos (see Egypt map). The campaign against the Hyksos was depicted in etchings on the ancient walls of the arnak Temple, 450 miles (720 kilometers) south of Cairo. Archaeologists said the new find shows those stone-chiseled tales to be surprisingly accurate. "The bones of humans and horses found in the area attest dramatically to the reality of such battles," said Zahi Hawass, director general of Egypt's Supreme Council for Antiquities (SCA). "Previously, the area was known only from depictions in temples elsewhere in Egypt. We had no first-hand evidence of what was happening there during the pharaonic period." The discovery was part of a broader effort called the North Sinai Archaeological Project, which was started in 1991 to identify and protect archaeological sites that were threatened by an industrial agriculture project. The fort, called Fort Tjaru (or Tharo), was unearthed by a team led by Mohammed Abdul Maqsoud of the SCA. The Society for Arabian Studies is pleased to announce the next in its series of biennial conferences, entitled Death, Burial and the Transition to the Afterlife in Arabia and Adjacent Regions, to take place at the British Museum from November 27-29, 2008. Click here to download these details as a pdf format document. The conference aims to review, synthesise, and contextualise the evidence for burial practices and associated beliefs in Arabia and neighbouring regions from earliest prehistory to the present day. In order to adequately address an issue of such fundamental importance to all societies, contributions are sought from a wide range of disciplines, including archaeology, physical anthropology, history, epigraphy, cultural anthropology, ethnography, and theology. It is envisaged that the conference will cover a wide range of themes . . . .
Geographically, the conference will focus upon the Arabian Peninsula, i.e. modern-day Saudi Arabia, Kuwait, Bahrain, Qatar, Yemen, the United Arab Emirates, and Oman. In addition, we strongly encourage contributions discussing adjacent regions (including Iran, Iraq, the Levant, Egypt, and South Asia) where specific burial traditions and beliefs may relate to, inform, or expand our understanding of traditions in the Arabian Peninsula. He was probably a redhead, tall and in good shape when he died of an unidentified cause by age 30. That's according to researchers, who used X-rays and a computerized topography scan to learn more about the 2,300-year-old mummy housed at the Louisiana Art and Science Museum. The release of their findings coincided with the unveiling of a major renovation of the museum's ancient Egypt gallery. The research also provided answers to questions left unresolved after X-rays done in the 1980s, and more details about man behind the mummy researchers say was found near Thebes, Egypt. See the above page for the rest of this short piece. The third one day London Ancient Science Conference will take place on Saturday 3rd November 2007, in the Gustav Tuck Lecture theatre at University College London. Papers on any aspect of ancient science are invited, from academics and from postgraduate students. Papers may be any length between 10 and 50 minutes. Papers may address historical, philosophical, technical or sociological aspects of ancient science, and may investigate the science of any ancient society. As frequent visitors will know, I haven't been doing much web surfing recently so this is a special version to address one particular problem - finding unusual or out of print books. I have been using all of these companies to find books that I cannot possibly live without, even thought they are out of print. I have been talking to others recently about how to acquire these books and I though that it might be of use to distribute the information a little further - if you read this and have some additional recommendations, please feel free to email and I will post an update. Search our 60 million books for just the one you want. Find second-hand, new, out-of-print, foreign language, and hard-to-find titles. You'll discover rare editions of childhood favorites, novels signed by respected authors, the latest bestsellers, and more. This is a search facility -you cannot purchase from Pimpernel but they put you in touch with companies from whom you can purchase. Scroll to the very bottom of the page for online stores of ABE Books in other countries, including Germany and the U.S.
AbeBooks is the world’s largest online marketplace for books. AbeBooks makes it simple and safe to find and buy—or list and sell—new, secondhand, rare, and out-of-print books online. Bookbuyers love the variety of over 100 million books offered by more than 13,500 booksellers. This great selection delivers value for all: readers find bestsellers, collectors find rare books, students find textbooks, and treasure hunters find books they’ve been seeking forever. Museum Books used to be a real-world book shop that was located opposite the British Museum. They were forced to abandon their premises and set up shop online instead. They deliver internationally, and offer a vast list of both new and used books. The most recent list of avaiable books dates to June 2007, but give them a call to find out if a book that intersts you is still available. Contact details can be found at the above website address. We specialise in the supply of old and out-of-copyright books and journals on CD-ROM. These books are compiled as .html or .pdf files which can be read on most personal computers (Windows, Mac OS-X, Linux ...). Culture Minister Farouk Hosni approved the travel of an antiquities team to Japan to inaugurate the Egyptian monuments exhibition to be staged in the museum of the University of Wasida, in the City of Sengoku on July 31, 2007 to last till September 9. The team is headed by Dr. Zahi Hawwas Secretary General of the Supreme Council of Antiquities. Hawwas said this is the sixth tour for Egyptian antiquities in the Japanese cities which started Mid-July last year and will last till the middle of the year 2008. The exhibition will include 317 pieces dating back to various historical epochs. The exhibition will be touring Japan until the year 2008. Egypt will receive EGP1 million in two installments for the exhibition, he added. UPDATE 1720: Done! Further to my earlier comments (below), I have now updated the blog, and will do so again tomorrow morning - but please bear with me next week. 0911: Sorry for the lack of updates for the last two days - I have been somewhat occupied at the Bloomsbury Summer School. I have a dozen things to do today (other things have become seriously backlogged too), but I will be updating and backdating the site for the last two days this evening. Things are likely to be erratic for the next week, but Bloomsbury winds up next Friday, so normal service will be resumed the week after. All the best, and thanks for bearing with me. Bowling Invented in Ancient Egypt? Throwing stone balls along a lane might have been a popular game in ancient Egypt, according to evidence unearthed some 56 miles south of Cairo by Italian archaeologists. A mixture of bowling, billiard and bowls, the game was played at Narmoutheos, in the Fayoum region, in a spacious room which appears to be the prototype of a modern-day bowling hall. The room was part of a structure, perhaps a residential building, which dated from the Roman period, specifically between the second and third century A.D. "We first discovered a room with a very well-built limestone floor. Then we noticed a lane and two stone balls," Edda Bresciani, an Egyptologist at Pisa University, told Discovery News. A mixture of bowling, billiard and bowls, the game was played at Narmoutheos, in the Fayoum region, in a spacious room, which appears to be the prototype of a modern-day bowling hall, said Edda Bresciani, an Egyptologist at Pisa University, Italy. Bresciani said the room was part of a structure, perhaps a residential building, which dated from the Roman period, specifically between the second and third century A.D."We first discovered a room with a very well-built limestone floor. Then we noticed a lane and two stone balls," Discovery News quoted Bresciani as saying. Wrinkles improved the face of Nefertiti, the pharaonic Egyptian queen acclaimed as the world's most beautiful woman, German scientists have discovered. The 3,000-year-old bust of Nefertiti is the greatest treasure at Berlin's Altes Museum. X-ray pictures of the bust by a computer tomography machine at the nearby Charite Hospital in Berlin revealed that the sculpture is a piece of limestone with details added using four outer layers of plaster of Paris. "We have discovered that the sculptor later added gentle wrinkles to her face, especially around the eyes," said Dietrich Wildung, director of the Museum of Egyptology housed in the upper storey of the Altes Museum. "The wrinkles make the image more individual and expressive." The scientists speculate that Nefertiti, who would have sat for the sculptor, herself approved the older look. Wildung said he received the revelation a year ago that the serene face, which today lacks one eye, was not quite as smooth as it looked. Egyptologist Nigel Strudwick has created a new Personal Egypt Resources page on his Egyptology Resources website to list web log and photo sharing addresses with Egyptological themes. If you know of any that may be of interest to him, he can be reached via the above website. This is a ruthless plug for my very deserving friends at Sussex Egyptology Society (U.K.), some of whom were at Bloomsbury this month. A special SES 10th Anniversary Party will be held at The Pavilion, Field Place, Worthing, on the afternoon of Sunday August 6, 2006, in the presence of some of the Egyptologsits who have visited Sussex to lecture to us over the years. Tickets are available for £6.50 each from Malcolm Gay (tel 01903 260742) - and bring a helium balloon to release: the one that gets nearest to Egypt (without cheating) may win a prize! Members of the society are taking the plunge and are giving lectures themselves, which promise to be excellent. See the above page for full details. If you are intersted in other, mainly U.K.-based, Egyptology socieities and their upcoming events and lecture programmes, I have found that the best source of this type of information is Ancient Egypt magazine. You will need to subscribe to either the online or print edition. This BBC news item is accompanied by a photograph of the prosthetic toe under discussion. An artificial big toe found on the foot of an ancient Egyptian mummy could be the world's earliest functional fake body part, UK experts believe. A Manchester University team hope to prove that the leather and wood "Cairo toe" not only looked the part but also helped its owner walk. They will test a replica in volunteers whose right big toe is missing. If true, the toe will predate the currently considered earliest practical prosthesis - a fake leg from 300BC. If we can prove it was functional then we will have pushed back prosthetic medicine by as much as 700 years. The Roman Capua Leg, made of bronze, was held at the Royal College of Surgeons in London but was destroyed by Luftwaffe bombs during the Second World War. British researchers are taking steps to prove whether an artificial big toe ound attached to the foot of an ancient Egyptian mummy is actually the world's earliest known functional prosthetic body part. Known as the "Cairo toe," the wooden and leather appendage was on the mummified body of a woman discovered in a tomb from ancient Thebes, now modern-day Luxor, Egypt. Tests suggested the woman was aged 50 to 60 at the time of her death and may have lost the big toe due to diabetes. Items buried with the woman, the wife of a high priest, suggest she lived between 1069 and 664 BC. function and if they show wear and tear consistent with use in daily life. The discoveries, reported in the August issue of GSA Today, the journal of the Geological Society of America, came by accident when his team drilled underwater in Alexandria's harbor, Stanley said. Their project was part of a 2007 Smithsonian-funded study of the subsiding Nile Delta and involved extracting three-inch-wide sticks of core sediment some 18 feet long (5.5 meters), from up to 20 feet (6.5 meters) under the seabed. Egypt's antiquities department and a French offshore group were involved in the project. The goal was to understand what happened to cause later structures, from the Greek and Roman eras, to become submerged. "One of the ways you do this is by taking sediment cores and examining core structures," he told The Associated Press by phone from Washington. "This often happens in science. We were not searching for an ancient city," said Stanley, who has been working in the Delta region for 20 years. When his team opened the cores, what they saw were "little ceramic fragments that were indicative of human activity." But there was no immediate cause for excitement. Then, more and more rock fragments, ceramic shards from Middle and Upper Egypt, a lot of organic matter plant matter and heavy minerals were found. All the materials were found by radiocarbon dating to be from around 1000 B.C. An account of the visit by the Culture Minister Farouk Hosni to the site of the future Grand Egyptian Museum, plus a description of how the museum will fit into the landscape and what its internal plan will be like. Yasser Mansour, the project coordinator, described the GEM as a building "sitting like a paradox" in the vicinity of the Pyramids. "It will create a new experience for Cairo and a new type of museum for the world, one which will become a main node in a global network of museums of Egyptology and will relocate the cultural and intellectual issues of ancient Egypt to the land of their origin," Mansour said. The monumentality of the architecture is not visible, but it is still present through the formal configuration of the past, present and future. The museum sinks into the earth and the history of the country by an incision and an inversion into the landscape. The massive halls below the museum plateau will enter into a new relation with the Pyramids, one that recalls their scale and power and respects their primacy as the monuments of the site. By inverting the sectional qualities of the Pyramids, the GEM will present Cairo with a new concept: a large, flexible, educational museum which is hybridised within the landscape. The form of the museum results from the juxtaposition of three elements: the sunken museum matrix and crater roof, the landscape, and the black stone roof. Within this hybrid, the landscape and the sunken museum by their monumental and archaeological references conjure up the past, while the black stone roof points to the future and the continuous cataloguing of historical artefacts. Visitors will approach the GEM from the Cairo-Alexandria Desert Road, approaching the entrance gallery through the plaza. The display in the intermediate zone will link the collections within and the desert without, and vice versa. The entrance gallery will flow into the museum interface, which will be both a massive and welcoming open public area through which visitors pass up to the surface of the roof or down to the exhibition halls. Moving upwards through the interface will bring visitors to the level of the roof crater, where the expanse of the building can be perceived for the first time... Circulating the crater rim visitors can walk to the park access ramp, a large incision in the landscape blocking out the surrounding urban development. The park access ramp leads to the pyramid view point, where the Pyramids are the main, if not the only, subject of contemplation. So there we were, a gung-ho group of 27 Indian tourists including my sisters Revathi and Kamala, gawking at the colossal twin statues of Memnon — that dwarfed everything around — as our coach approached what was once the mortuary temple complex of Pharaoh Amenhotep III. Only the badly damaged but impressive quartzite sandstone statues remain, sitting poised amid sugarcane fields. They are 3,000 year-old, 60ft high replicas of Amenhotep, sentinels to the necropolis in the limestone hills of Qurna, the Valleys of Kings and Queens of Thebes, on the Nile’s West bank. Thebes was the capital of the 18th dynasty, the “golden age” pharaohs, located on the Nile, Egypt’s life-giver. Taking the cue from the rising and setting sun, the west bank was allotted to the dead – for that’s where the sun “dies”’ – and the east bank, to the living, where the sun rises to shower its sustaining energy, explains Tamer, our guide. The October sun was sharp, but turned out to be tame compared to the June heat when I visited Cairo and Thebes on the occasion of the announcement of the discovery and identification of Pharaoh Hatshepsut’s mummy by Egypt’s Supreme Council of Antiquities director, Zahi Hawass and his colleagues. The two trips, just eight months apart, were delightfully different in content and context, yet complementary. Each enriched the experience — and got me hopelessly hooked n ancient Egypt! La sede de Barcelona del Museo de Arqueología de Cataluña acoge hasta el 30 de septiembre la exposición "Misión en Egipto: La Tumba de Monthemhat", que propone un recorrido fotográfico por el interior de este complejo funerario, considerado uno de los más majestuosos del país del Nilo, situado junto a Tebas, la antigua capital. Uno de los reclamos más importantes para los amantes de la egiptología es la ciudad de Luxor, la antigua Tebas. En El-Asasif, en la orilla oeste de la que fue importante capital egipcia, está la tumba de Monthemhat, una de las más majestuosas e impactantes de todo Egipto. Las fotografías que pueden contemplarse en Barcelona, todas ellas de gran formato, recogen los trabajos, los retos y las incógnitas que han inspirado una misión arqueológica internacional, dirigida por el egiptólogo Dr. Farouk Gomaá, realizada bajo el auspicio de la Universidad SEK de Segovia y la Universidad de Tübingen, en Alemania. En esta misión, iniciada a principios de 2006, también ha colaborado el Laboratorio de Patología del Museo de Arqueología de Cataluña y ha contado con un equipo de entre 12 y 20 especialistas alemanes, españoles y egipcios, además de unos 50 trabajadores. El responsable arqueológico de la misión por parte de la Universidad SEK es el profesor Emilio Illarregui, de la Escuela Técnica Superior de Estudios Integrados de Arquitectura. La tumba de Monthemhat, llena de cámaras, pasadizos y corredores, está considerada un destacado reto arqueológico. Now scientists have discovered hidden underwater traces of a city that existed at Alexandria at least seven centuries before Alexander the Great arrived, findings hinted at in Homer's Odyssey and that could shed light on the ancient world. . . .
Alexandria was known to have developed from a settlement known as Rhakotis, or Râ-Kedet, vaguely alluded to as a modest fishing village of little significance by some historians. Seven rod-shaped samples of dirt gathered from the seafloor of Alexandria's harbor now suggest there may have been a flourishing urban center there as far back as 1000 B.C. Coastal geoarchaeologist Jean-Daniel Stanley of the Smithsonian's National Museum of Natural History and his colleagues used vibrating hollow tubes to gently extract three-inch-wide rods of sediment 6 to 18 feet long (2 to 5.5 meters) from up to 20 feet (6.5 meters) underwater. Collecting these samples underwater proved challenging. "Alexandria now is home to as many as 4 million people, and we were in the unfortunate position of having to deal with their discharge — human waste, municipal waste, industrial waste — which got released into the harbor," Stanley said. "It's not funny, but you have to sort of laugh." We took a step back in time — about 3,000 years, just like every one else who has the luck to visit Egypt! — to get an idea of its timeless craft and culture. Just a few km from the centre of Cairo, a time machine took us on a fantastic journey to the days of the Pharaohs in a jiffy, by depositing us at the Pharaonic Village, on Jacob Island on the Nile. brought to life by an incredible group of artistes, sincere reproductions of buildings, clothing and lifestyles and of course the most precise living recreation of the golden days of Pharaonic Egypt. would take us on the tour. Boarding a motorised boat we sailed down a network of canals to view the incredibly accurate tableaux of the recreation of ancient Egyptian life with a commentary in English describing everything we went past. Artistes performed all the daily activities and arts of the ancient Egyptians, in the same manner how it was done, ages ago, by everyone that would have existed in an ancient Egyptian city, from pharaohs to fishermen and from potters to priests. Scenes that we saw included that of Moses as a baby, agricultural life, mummification, pottery, making of alabaster statues, perfume making, manufacturing paper from papyrus and the making of wine. Opening August 4th, Egypt: Puzzles and Mysteries is an engaging, thought-provoking exhibit which explores the geography, history, technology and mystery of ancient Egypt. Through hands-on interactive components, kids of all ages discover what it might have been like to live, work and play in Egypt during the time of the pyramids. Visitors will have the opportunity to: explore the geography of Egypt; try to solve various riddles and puzzles; build pyramids from wooden blocks; learn about the math, history and construction methods of pyramids; write like an Egyptian using hieroglyphics and learn to walk like an Egyptian! Egypt: Puzzles & Mysteries is on loan from the Museum of Science and Industry in Tampa, Florida. The Museum will also feature Egyptian artifacts and a hieroglyphics rubbing table on loan from the Denver Museum of Nature and Science. Taking place at: WOW! Children's Museum, 110 N. Harrison Avenue, Lafayette, CO 80026, U.S.
Dr. Mohammad Argon, Director of the Egyptian Space Program said that a composite satellite photo was taken by the MisrSat-1 launched on April, 17, 2007. The photo presents the colors of the desert areas around Cairo, indicating their geology and the urban communities surrounding the ring road. The MisrSat-1 will photograph a strip of the Earth equal to its imaging swath with each orbit. As the satellite revolves around the Earth on one axis the Earth rotates on another, shifting the scanned strip with each orbit. This eventually allows the satellite to photograph the entire planet as it circles around it, and the software at the ground station works to fit these images together to create the complete picture. This is a new review of an old book. Egyptologist Kent Weeks spent years in the Valley of the Kings convinced that every other excavator, tomb robber, and Howard Carter wanna-be had missed something big. In 1995, Weeks’ suspicions were confirmed when he crawled into a tomb unseen for more than 150 years. Even so, the last person to see it, explorer James Burton, only saw the entrance. Using Burton’s maps and projections, Weeks knew he could rediscover the tomb. . . . It was more than 15 years between Weeks' signing on with the Mapping Project, and his first foray into the tomb known as KV5. Three years after the first foray, the tomb was still only 7% excavated, but that excavated part was already the largest tomb in the Valley. Research into the tomb’s location and hieroglyphics on the walls, proved the tomb to be that of the sons of Pharaoh Ramesses II. It is now known as KV5, and is still under excavation. Weeks’ narrative style, combined with journal excerpts and maps, makes for a fascinating read. Weeks immerses the reader in the culture and history of the dig, while expanding on the history and significance of the Valley itself. Academics and laymen alike will enjoy Weeks’ adventure into the Egyptian mystery of life and death. Ottar Vendel has added some more details about the previously mentioned exhibition on the above web page. Ottar has corrected my assumption that the exhibition would not travel - apparently it is actually on tour. International archaeology book supplier Oxbow has released its new catalogue, "Book News 72" which lists new and forthcoming titles, together with bargains and deals. There are some excellent special offers listed, and some great new titles promised - well worth a look. TAG will be held this year in York (UK). Full details of the Session Abstracts are available on the TAG 2007 website (there are too many to list here). Egyptian Culture Minister Farouk Hosni announced the discovery of a military fortress belonging to the 19th dynasty in Tal Hebwa, 1.8 miles east of the Suez Canal. The huge defense fortress was built to ensure the delta entrance and to protect the capital built by the ancient king Ramses the second. The fortress is 500 meters long, 250 meters wide with 13-meter thick walls. The fort has a 12-meter southern entrance. The water canal that surrounds the fort was found as well. The Supreme Council of Antiquities found the monument as part of its plan to discover the military path that extends from Egypt to Palestinian lands through the northern parts of Sinai. Some human and horse skeletal remains were found indicating that battles went on around the fortress. Experts said that this fort is considered to be the largest fortress found yet, with 24 defense towers 20-meters wide and four meters thick. São Paulo – Every month, around 3,000 people visit the Egyptian Museum, on Nicaragua street, in Curitiba, capital of the southern Brazilian state of Paraná, to see the relics of the land of the pharaohs up close. The institution has a permanent exhibition of a mummy of an Egyptian who lived in Ancient Egypt. The body, nicknamed Tothmea, was supposedly a singer and musician who honoured goddess Isis, according to data supplied by the museum. The mummy arrived in the capital of Paraná state in 1995, as a donation from the Rosicrucian Museum of San Jose, California, which belongs to the Rosicrucian Order, a mystical and philosophical institution that also owns the Egyptian Museum in Curitiba. . . .
Apart from the mummy, however, the museum houses 497 replicas of historic Egyptian artefacts like the bust of queen Nefertiti, wife of pharaoh Akhenaten, and objects of king Tutankhamun. The products exhibited at the site follow different themes, which change every two years. Egypt announced yesterday the discovery of the largest-ever military city from the Pharaonic period on the edge of the Sinai desert, part of a series of forts that stretched to the Gaza border. “The three forts are part of a string of 11 castles that made up the Horus military road that went from Suez all the way to the city of Rafah on the Egyptian-Palestinian border and dates to the 18th and 19th dynasties (1560-1081 BC),” antiquities supreme Zahi Hawwas said in a statement. Teams have been digging in the area for the past decade, but the Egyptian discovery of the massive Fort Tharo and the discovery of two other fortresses by French and American teams confirmed the existence of the Horus fortifications described in ancient texts. The above page is accompanied by a photograph of the site. The Museum of Lodose 40 km north of Gothenburg in Sweden has during this summer an exhibitions showing duplicates of the clothing found in Tutankhamon's tomb. The original garments have been examined by the Weaving Faculty at the University College of Boraas (http://www.hb.se/english/) and the ancient technique was copied when making the new versions. Material and dying has been made by the same stuff as used by the old Egyptians, and the result has been as close to the originals as can possibly be. When Meketre died (around 1975 B.C. ), he was mummified and put to rest in a tomb in western Thebes, opposite present-day Luxor. Fortunate for us, his contemporaries placed a large collection of miniature carved wooden figures in his tomb. These toy figures represented Egyptians at work. There was a carpentry shop, an abattoir, a granary, a kitchen, a couple of river boats, and ... a brewery. Because the inner chamber of Meketre's tomb was untouched when it was discovered by Herbert E. Winlock on March 17, 1920, the workshop models give us an intimate three-dimensional view of how Egyptians lived. The Egyptians did not invent beer. Rather they had learned the art of brewing from the world's first known brewers, the Sumerians, Babylonian, and Assyrians further to the east in what is now Iraq. The Egyptians, however, left us with the best documentation of ancient brewing practices. Most of the many depictions of Egyptian brewing that have come down to us are murals in vaults, pyramids, and sacrificial chambers. These attest to the importance and high esteem in which the art of beer-making was held in Egyptian society. Yet the find in Meketre's tomb probably ranks among the best preserved and most instructive. Thanks to Tony Marson for forwarding this piece to me. It is a brief account of a bad experience of a holiday to Egypt. Sadly, the writer dwells exclusively on all the problems (delays on a UK motorway leading to a one day delay in arrival in Egypt where the hotel room had been cancelled as a result, and the illness of one of the sisters who were travelling together). It is impossible to get an idea of what their other experiences of Aswan, Luxor and Cairo actually were. The Rosetta Stone and the Rebirth of Ancient Egypt by John Ray (Harvard) - reviewed by Jonathon Keats. This is actually less of a review than a short summary of the book's main focal points. It provides very little in the way of opinion about how good the book actually is. The British and the French both played crucial roles, and many have read the decipherment as a continuation of their political rivalry. Ray acknowledges this, yet wisely concentrates his attention on the personal ambitions of Thomas Young and Jean-Francois Champollion, the two men who did the actual scholarship. Young was the first to work on the stone. He was not a likely candidate. Egypt didn't interest him especially, at least not as much as biology and physics, fields to which he routinely contributed major discoveries. A short article about the exhibition is accompanied by eight lovely photographs from the Louvre's travelling exhibition, currently in Perth (Australia). and accessible on the above URL. Click on each photograph to see the large image. Imagine digging through the soil and finding a fossil that turns out to be the skull of an early human. Did you know that that hominid might have been your ancestor? Scientists have proven that humans can trace their origins back to Africa. Now think of pyramids. You’ve probably got Egyptian pyramids pictured in your brain, but you might be surprised to know that there are more pyramids in Sudan than there are in Egypt. That’s because, over the centuries, Nubia sometimes ruled Egypt, and at other times, Egypt ruled Nubia. In both cases, pyramids were built to serve as tombs for important rulers. And as you’re digging for other clues about ancient Africa, you might find some pottery shards, bones, or ancient tools. Scientists can tell how old these finds are by a carbon dating method that determines how much carbon has disappeared from an object. It’s not a foolproof method, but it has given some archaeologists a few surprises. Holidaymakers looking for flights to the Egyptian capital this autumn will have more choice as BMI launches a new daily route to Cairo. The flights, departing from London Heathrow, will be available from October 29th 2007. Fares will start from £299 return, including taxes and charges. Visitor attractions in the city include the Pyramids of Giza, the Museum of Ancient Antiquities, and the historic shopping area of Khan El-Khalili. Cairo is the most populous city in Africa and the Middle East, home to almost 16 million people. BMI also announced this week it will be upping the frequency of its flights to Amman and Beirut, the capitals of Jordan and Lebanon, with daily services now available to both destinations. Scots Egyptologist and archaeologist, Ian Mathieson, has made remarkable discoveries in more than a decade of work as director of the Saqqara Geophysical Survey Project. In 1990 he was awarded a concession from the Supreme Council of Antiquities in Egypt to survey and excavate the burial ground of the ancient Egyptian city of Memphis. Situated 25 kilometres south-west of Cairo, the area is next to the Step Pyramid of Pharaoh Djoser of the 3rd Dynasty. This revolutionary use of the latest techniques of scientific survey is revealing the world of ancient Egypt long lost beneath the desert sands. Geophysical Survey Project is also supported by the Wainwright Fund (Oxford), the Russell Trust, and private and corporate donors. . . .
You can view film footage of the survey and excavation work at Saqqara by downloading the files on the right hand side of this page or the links below. File sizes range from 8MB to 16MB. The files are best viewed in QuickTime viewer, and you can download this software for free by following the link to Apple's website. As the files are large, it may take several minutes for them to display and play. This will depend on the speed of your internet connection. Travel blog about a journey taken in 2003 - far more detailed and informative than most online travelogues that I know of. the plan: notes and ruminations on the early stages of planning the trip as well as some notes on general travel issues in Egypt. itinerary: our itinerary, with links to photos, the travelogue, and historical notes, as well as some alternate itineraries for shorter (or longer!) trips. Includes sites and lists of must-see's. them. An embarassing amount, actually. travelogue: A day-by-day narrative of the trip (often odd, but linked to photos and other notes). A bit long, and probably best taken in small doses. books: reviews of the many guidebooks that I've bought, and recommendations for those with less of an urge to buy books by the foot. 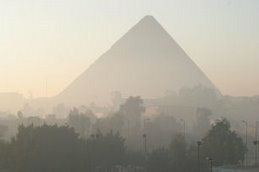 history: condensed cultural and historical information about Egypt and egyptian cities, linked to a complete gazeetter of pharaohs from the first dynasty to the last, all linked to the sites and photos. For sources of other AE texts see EEF's dedicated page and the AEL Texts pages. Thanks to Kat for the link to the link to the book by Aylward M. Blackman, (Le Caire, Impr. de l'Institut français d'archéologie orientale), 1911. It can be downloaded in pdf format as three separate files, which has been done to reduce download times. The Harrogate Royal Pump Room Museum have launched a project to enable the public to vote on which of six artefacts from the Egyptology collection should be studied next. MUSEUM visitors are being given the chance to help unlock the secrets of ancient Egypt in an innovative exhibition. The public will be able to vote for six artefacts from an Egyptology exhibition at Harrogate's Royal Pump Room Museum, prioritising the items which will then be taken away for in-depth scientific research. The idea followed studies of a vase which had been in the museum's collection for almost 30 years but was thought to be a fake because of its pristine condition. Investigation However, it was established that the artefact did in fact date back 5,000 years. The latest project is part of the museum's Egyptology: Science Investigation exhibition, which is due to be made a permanent feature later this year after an GBP80,000 grant was secured from the National Endowment for Science Technology and the Arts. Museum staff will now work alongside York University's Egyptologist Dr Joann Fletcher and scientist Dr Stephen Buckley to study the artefacts selected by the public vote. The ESI: Egyptology Science Investigation project lasts three years. It will explore and interpret our important Egyptology collections through displays, website, formal and informal learning. It has been made possible by funding from NESTA and involves us working with Dr Stephen Buckley and Dr Joann Fletcher from the University of York, Archaeology Department with its Bioarch section. Dr Buckley from the university is carrying outscientific testing and research on our objects. This is providing us with much important information on what we have. For example, initial tests on this canopic jar made of banded calcite showed the presence of cholesterol, which indicated that the contents were human or animal. Further research has narrowed this down to human contents. The tests also revealed the use of alcohol and aromatic spices, as well as conifer resins. A new sample has just been taken and testing of this should reveal which organ was placed in the jar. Click here to vote on the next objects to be tested. Serge Rosmorduc announced on Friday, on the Ancient Egyptian Language list, that a new version of the JSesh has been released. JSesh is his free hieroglyphic text editor. * a palette for selecting the signs (currently quite simple). * some new texts (mostly Papyri from Deir el Medineh, thanks to P. Cassonnet). See the above page to download the new version. For full details about JSesh, see the JSesh homepage. The Betty Page Cleopatra action figure was inspired in part by the series of Betty Page comic books published by Dark Horse and created by Jim Silke in 2000. Likeness The face is the classic Betty Page. The body has some of the voluptuous angles of the real model. She is not an anorexic model with fake breasts implanted in her. The smile tries to capture the simplicity of the real Page. It is certainly friendly and inviting. For one thing, the action figure is completely different from the work of artist Jim Silke whose work inspired the action figure. I wonder if this was not done to avoid paying licensing fees to both Silke and Page’s estates. I can see nothing in this article that hasn't been mentioned in the previous plethora of articles on the subject, but it might be of interest to the newest visitors to the blog. See the above page for more details. Archaeologists from the Oriental Institute have discovered a gold-processing center along the middle Nile in the Sudan, an installation that produced the precious metal sometime between 2000 and 1500 B.C. The center, along with a cemetery they discovered, documents extensive control by the first sub-Saharan kingdom, the kingdom of Kush. The team found more than 55 grinding stones made of granite-like gneiss along the Nile at the site of Hosh el-Guruf, about 225 miles north of Khartoum. The region also was known as Nubia in ancient times. Groups of similar grinding stones have been found on desert sites, mostly in Egypt, where they were used to grind ore to recover the precious metal. The ground ore was likely washed with water nearby to separate the gold flakes. “This large number of grinding stones and other tools used to crush and grind ore shows that the site was a center for organized gold production,” said Geoff Emberling, Director of the Oriental Institute Museum and a co-leader of the expedition. A short article describing the exhibition which is on show until the 28th September at Princeton University's McCormick Hall. This is a lovely page showing some great sepia photographs from the exhibition. In the second half of the 19th century, professional photographic firms arose in the major cities of Western Europe, as well as in more remote travel destinations such as Greece, Egypt, India, Asia and the Middle East. Catering to an influx of European and American tourists, a growing number of travel photographers documented historical monuments, archaeological sites and scenes of daily life from the Middle East and Asia. The exhibition features some of these unique images, which have historical value in terms of the development of photography and the study of the architectural and social history of the regions in which they were produced. Photos on the page include the Great Sphinx submerged in Sand, a group of people sitting in the lap of Ramesses II at Abu Simbel, visitors to the Kiosk of Kertassi (now moved to the island of New Kalabsha to avoid flooding by Lake Nasser), and camel riders and trees next to the Great Pyramid of Giza, without a tourist in sight! For those of you lucky enough to be in the vicinity of Princeton University (New Jersey, U.S.), details of the Department of Art and Archaeology, which is hosting the exhibition, can be found on the Department's website. Hawass is using his occasional Dig Days slot on the Al Ahram Weekly website to honour Egyptologist David O'Connor, who he describes as "an ideal role model for us all". O'Connor is unique. Originally from Australia, he received a postgraduate diploma in Egyptology in 1962 from University College London. He then studied for his doctorate at Cambridge. He was always honest, a good excavator, and a true leader. I learnt a lot from him. The first four of the seven years I spent at the university were fundamental to building me up as an Egyptologist. O'Connor was an excellent teacher. He taught us to understand the context of artefacts; how we can identify their origin, and how to date Pharaonic cemeteries based on the relative evidence. approaching when we heard him whistling. The exhibition Egyptian Antiquities from the Louvre: Journey to the Afterlife opens in Perth in Australia tomorrow, and will be on display until October 28 2007. More than 100,000 people are expected to see the Louvre’s travelling show of Egyptian antiquities after it opens tomorrow. And the faces of pharaohs unearthed from tombs and shrouded commoners buried in the desert sand will be staring right back at them. The national tour of more than 500 objects has taken six years to arrange and cost $6 million. It is the first Louvre exhibition to come to Australia in nearly 30 years and is expected to be the gallery’s most popular show since Monet and Japan drew 170,000 people in 2001. Egyptian Antiquities from the Louvre: Journey to the Afterlife draws its inspiration from the lengths the ancient people of the Nile took to protect themselves on their trip to eternal paradise. The Art Gallery of Western Australia information about the exhibition on its website. There's also a glossy section dedicated to the exhibition, with some good photographs. Be warned - when the page loads music begins to play. A short but clearly stated rebuke to the Franklin Institute about crowds at the Tutankhamun exhibition at the Franlklin Institute. check out the traveling exhibit, Tutankhamun and the Golden Age of the Pharoahs. We're pretty hard-core Egyptology buffs, so we had been looking forward to it for a month. The show was pretty cool (despite the absence of the death mask which appeared in all the advertisements) but we just couldn't enjoy it, because it was too crowded. The exhibit opened in February and is still drawing huge crowds, which is gratifying -- but having purchased a timed ticket, we assumed we'd be able to lovingly coo over every shabti and royal headdress. Instead, the areas around each display case were six people deep, at least. I will just have learned how many "l"s there are in Philadelphia when the exhbition moves. I leave the art of Egyptology conference notifications to EEF, who are just so much better at it than me, but this one, which may be of interest to those working in Egyptian archaeology is outside mainstream Egytpological approaches, so I've added it on the off-chance that it might be of use to someone. It takes place on Saturday 17th November 2007. I've mentioned the conference before, but they now have a web page. The vast and exciting potential of experimental archaeology often goes unrecognised in academic archaeology. The basis of this conference are the key issues that surround the integration of experimental archaeology as a mainstream methodology. -Explore the scope of ‘experimental archaeology’ and distinguish between full experiments, pilot experiments, pre-experiments, experiential activities, public demonstrations and hobby projects. - The role of experimental archaeology in academic research. - Improving communication between academic experimental archaeologists and crafts people. - How to communicate experiments and results to the academic community and the public. . . . . The mummy exhibits injuries that beg to be explained, Elias said, adding that he had not expected to find such extremely interesting aspects of the mummy's life when he came to Baton Rouge to conduct the current study. The receipt of an ancient coin from a Gazette reader created great interest recently when it was handed over to Berkhamsted Local History and Museum Society, as requested by reader 84-year-old James Fellowes, of North Walsham, Norfolk. Mr Fellowes told us how the coin had been given to him by a friend, Alf Frampton, when he worked in Hemel Hempstead, shortly after the war. Dacorum Heritage Store was unable to date it, but sent it to expert Peter Clayton (vice-chairman of Dacorum Heritage Trust and Expert Adviser for Coins and Antiquities to the Department for Culture, Media and Sport).And from such a notable source we have the following explanation: The coin is a Billon Tetradrachm from the mint of Alexandria in Egypt. The NKOS website has been udpated with details of the 2006 season. See the above page for the full story, but here's an extract. The first season of the North Kharga Oasis Survey Phase II (NKOS II) focused on investigating the Darb Ain Amur as it extends between Umm el-Dabadib and Ain Amur. Several new archaeological sites were noted, while ones that had been discovered during previous seasons were thoroughly documented (photography and drawing). Ceramics were collected at these areas and tentative dating work begun. An exploration of the Ain Amur area was also carried out in order to find the settlement that must have been located near the temple. Work was begun at the site of a large rock along the east west axis between Umm el Dabadib and Ain Amur. This rock, discovered during a previous year was dubbed 'Aa's Rock' due to the proto-dynastic serekh that adorned the north-eastern side of the rock, with other images surrounding it. Two new hieroglyphic inscriptions that were very eroded were noted. Near Aa's Rock at least two areas of Prehistoric activity were identified. A site dubbed 'Fish Rock' due to the petroglyphs of fish found there was fully explored and documented. It appears to be primarily prehistoric in date due to the number of petroglyphs scattered about the faces of three upstanding massifs. To the west another Prehistoric site with grinders and petroglyphs and a Roman period jar was identified. To the north-west of Aa's rock, another site, named 'Split Rock' was studied. To its east lies an area with a concentration of sherds that have tentatively been dated to the fourth/fifth centuries AD. This was possibly a water depot or way station on the route between Umm el-Dabadib and Ain Amur. 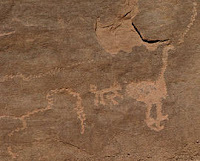 This area had also been inhabited in prehistoric times as some very faint remains of petroglyphs (giraffes and other quadrupeds) were found on a face of a wadi bed.To the west of Split Rock lies a significant Prehistoric site that goes along a narrow wadi. The petroglyphs here were truly stunning, showing human figures, oryx, gazelle, giraffe, snakes and elephants. This discovery has now been confirmed as the genuine article (as opposed to some recent so-called new discoveries which have turned up to be old discoveries). A SETTLEMENT dating back to the time of the pyramid builders was discovered in Egypt's western desert, the first find of its kind there, Egypt's Supreme Council for Antiquities (SCA) said today. "A joint Egypt-Czech archaeological mission found a city dating to the Old Kingdom (2687-2191 BC) in the Garat al-Abyad region in Bahariya," SCA chief Zahi Hawass said, referring to an isolated oasis 400 kilometres southwest of Cairo. "Remains of walls, buildings as well as pottery were found in this area not far from where the golden mummies were discovered," said Mr Hawass, recalling the cache of Roman-era gilded mummies found in the late 1990s to great fanfare. In 1999, he electrified the archaeology world with his announcement of the discovery of hundreds of mummies in the little-known oasis, many in golden sarcophagi. According to his colourful story, the mummies were found in 1996 when a guard's donkey tripped on a hole, revealing a glint of gold. The latest find is "an important discovery for Bahariya as it is the first time a site dating to the Old Kingdom has been discovered in this region where up till now there have only been Stone Age remnants or Middle Kingdom ruins", Mr Hawass said. "This period is a missing link in the history of this region," he said.Egypt's chain of desert oases in ancient times hosted thriving communities that traded with the Nile Valley. Minister of Culture Farouk Hosni announced the discovery of an ancient city in the Western Desert, dating back to the period between 2687 BC and 2191 BC. Zahi Hawass, the secretary general of the Supreme Council of Antiquities, said the city was discovered by an Egyptian/Czech team searching for historic artifacts in the Bahareya Oasis. The team, led by Dr. Myroslaf Parta, found a number of pots, pans and plates, confirming archeologists’ long-held theories about the existence of a civilization around the Bahareya Oasis during the Stone Age, Hawass said. One of the found pottery vessels that dates to the Ancient Egyptian Old Kingdom The team, led by Dr. Myroslaf Parta, found a number of pots, pans and plates, confirming archeologists’ long-held theories about the existence of a civilization around the Bahareya Oasis during the Stone Age, Hawass said. In the first field trip to the Grand Egyptian Museum, Minister of Culture Farouk Hosni inspected on Tuesday 17/7/2007 the second phase which is due to be completed by the end of this year. The phase includes setting up a power station, a monument renovation centre and a firefighting unit. The great achievements in the century's project astonished everyone especially that the 2700 workers and engineers are working in 24 hour shifts, the minister said. This phase, which will last for 18 months, will be followed by the third phase of constructing the main building at the start of next year. At a press conference, the Minister confirmed that the museum is designed to withstand all possible dangers, whether natural (earthquakes) or man-made (wars). The museum project synchronizes with another giant project set up to facilitate the way to the museum which is located on the Cairo-Alexandria desert road, along with works on other roads leading to the location to relieve the traffic jam, the minister declared pointing out that studies are ongoing to expand the desert road. The Minister lauded Japan's contribution in building the museum through a $ 300 million soft loan to be paid after 20 years and with a 1.5 per cent interest. According to the feasibility study, the Grand Museum will have covered its costs after 12 years of operation, the Minister said adding that Egypt has already started receiving contributions from banks and institutions to build the museum. Farouk Hosni said that the Grand Museum project is considered the most important civilization and cultural project in the new century. Meanwhile in Secrets of Egypt's Lost Queen (Discovery) the ebullient Dr Zahi Hawass was trying to identify Queen Hatshepsut from four finalists in the Egyptian Museum in Cairo. You've heard of the Old Bazaar At Cairo? Then you will love Cairo museum. It has an ample sufficiency of mummies and sarcophagi but very little idea of where any of them are. The dust of dead kings dances in the sunlight. Which is why a Cat scan and sterile lab, on loan from Germany, arrived like a spaceship. Katja Mueller, Settlements of the Ptolemies. City Foundations and New Settlement in the Hellenistic World. Studia Hellenistica 43. Leuven: Peeters, 2006. Pp. 249. Katja Mueller's monograph is a most welcome and dense work that approaches the topic of Ptolemaic strategy for implanting and fostering settlements through the analysis of papyrological, epigraphical, and archeological material derived from all the regions that had been under Ptolemaic rule. This, however, is often filtered and interpreted through a methodology borrowed from Geographical Studies, with which the expected audience may not be familiar. The book is certainly very informative, informed, and interesting, but it claims the undivided attention of the reader at all times. This work is articulated in four chapters followed by three brief, potentially useful appendices. Among them, the third stands out with its list of the settlements discussed in the main text, accompanied by a few additional pieces of information on them. It is still pitch-dark when we reach the launch site, near the Ramesseum temple on the west bank. But before we know it about 20 of us are crammed into four compartments of Captain Bob's balloon and, with a few gusts of fiery air, are rising ethereally into the inky Egyptian sky. extends about two kilometres from the curling river Nile, then stops abruptly. Beyond that, everything is desert. From up here it is easy to see why the Nile was the lifeblood of the ancient civilisation that settled here. With only light winds blowing this morning, Captain Bob can steer us gently up and down. As we ascend, we have an eagle's view of the Ramesseum temple complex directly below, with its avenues formed by huge pillars and its series of rib-like arches. Then, as we drift back down, we are barely 100 metres above the equally impressive Temple of Ramses III, its walls lit pink by the sunrise. We are also close enough to the ground to see people clearly in the village below. One man is still sleeping on a backyard mattress, another is driving his donkey and trap into the fields to begin work. The sun is rising quickly now, throwing a blaze of tangerine light over the desert hills and valleys. This travel article is focused more on what the Nile is like when visited from a specific cruise boat. Description of the sites is cursory ("We descend into the tombs in the Valley of the Kings. Some of the lesser known ones are best, we decide"); description of the pleasures involved in life on the boat is enthusiastic ("On board, a kitchen brigade of 25 produces exceptional fare, baking outstanding pastries, breads and cakes daily for morning and afternoon teas as well. Dishes might include carpaccio of beef with parmesan or smoked salmon salad to start followed by a tasty grilled Nubian-style chicken or excellent groper from the Red Sea"). A very brief description of a tour to the Western Desert oases. We drove through the Kharga Depression, which contains one of the largest fields of small yardangs - rock ridges caused by wind and water erosion.The next day we traveled to the Dakhla Oasis, the largest oasis in the Western Desert. On the way, we visited several sites with primitive paintings of the Old Testament stories still visible in fourth-century dome structures. In Dakhla, we visited the marketplace, then prepared an overnight pack for primitive camping under the stars. We trekked on camels for nearly two hours to the campsite where Bedouin men prepared the food and played neys (Egyptian flutes), rubabas (three-string violins) and other instruments during the evening campfire. Continuing with my unplanned period of undependability, I may not be updating the blog for the next two days. I have to go to North Wales tomorrow afternoon. The plan is to be back on Wednesday afternoon, but I may have quite a lot of catching up to do in the real world, so my online life may have to be put on hold until Saturday morning. I am truly sorry for all the people who have emailed from the blog recently - I am still playing catch-up, so if you haven't had a reply from me don't give up on me! I promise to get back to you soon. The Steven Snape course on tombs and belief at Bloomsbury started this week and is excellent. I will do an overview on Saturday. And I promise that at some stage I will update one of my websites with notes from the Poznan Symposium! At the moment I am taking this with a pinch of salt, because I haven't seen a report of it anywhere else. However, as I have been spending all day in a lecture theatre, which is scarcely the best place for picking up news items, my pessimism may be unjustified. If anyone can shed light on this article, please comment or email. Thanks. I was only talking to someone on my Bloomsbury course about Bahariya today. Also on the Kahleej Times. A settlement dating back to the time of the pyramid builders was discovered in Egypt's western desert, the first find of its kind there, Egypt's Supreme Council for Antiquities (SCA) said Monday. "A joint Egypt-Czech archaeological mission found a city dating to the Old Kingdom [2687 to 2191 BC] In the Garat Al Abyad region in Bahariya," SCA chief Zahi Hawass said, referring to an isolated oasis 400 kilometers (250 miles) southwest of Cairo. "Remains of walls, buildings, as well as pottery were found in this area not far from where the golden mummies were discovered," added Hawass, recalling the cache of Roman-era gilded mummies found in the late 1990s to great fanfare. In 1999, he electrified the archaeology world with his announcement of the discovery of hundreds of mummies in the little-known oasis, many in golden sarcophagi. According to his colorful story, the mummies were found in 1996 when a guard's donkey tripped on a hole, revealing a glint of gold. The latest find is "an important discovery for Bahariya as it is the first time a site dating to the Old Kingdom has been discovered in this region where up till now there have only been Stone Age remnants or Middle Kingdom ruins," Hawass said. "This period is a missing link in the history of this region," he added. Egypt's chain of desert oases in ancient times hosted thriving communities that traded with the Nile Valley. Lovely Mark Rose has provided a very detailed summary of the state of play regarding the Hatshepsut and Tuthmose I identifications on the above page, with photographs, and has been prompted by the Discovery Channel programme, which he reviews as he considers that data. Here's a short extract. While it pretty much comes down to a tooth in a box, Discovery Channel's "Secrets of Egypt's Lost Queen" (airs Sunday, July 15, at 9:00pm EST) tries to cover a lot of ground: who was Hatshepsut, the early 18th Dynasty queen and pharaoh, where's her mummy, and who obliterated many of her images and inscriptions? That's a lot, even for a two-hour program. I've watched the film twice, consulted with a couple of Egyptologists who know the subject, interviewed Egypt's archaeo-honcho Zahi Hawass, and talked with the producer, Brando Quilici (who did last year's Tut special and, before that, a documentary on the Iceman). As an archaeologist, journalist, and some-time docu consultant, I have mixed feelings about "Lost Queen." Overall, I do think it's better than many shows out there (but is that good enough?) and unlike some past offerings from Discovery it isn't larded with superfluous re-enactments. The science is pretty neat, but I have some questions about its applications here, and there are some gaps and things that are not really explained adequately. So, it is worth watching, but although I have some criticisms. Does it matter if we find, or identify, Hatshepsut's mummy? If you think of it only in terms of "Royal Mummies Musical Chairs" as Dennis Forbes, editor of KMT, called it in his Tombs, Treasures, and Mummies (1998), it is little more than an intellectual jigsaw puzzle. Fascinating, yes, but not necessarily a gateway to understanding ancient Egyptian culture. It's laudable that the film tries to go beyond that simple game, but it really is the hook for the show and Discovery isn't shy about playing that card. It also matters because this is an important test case. There are new techniques being applied here, especially the DNA work, that have the possibility to replace decades of conjecture with scientific evidence--if the analysis and intertpretation is done right. If it isn't, then things just become more obscure than ever. Do see the above page for the full story - it is excellent. Preliminary results from DNA tests carried out on a mummy believed to be Queen Hatshepsut is expected to support the claim by Egyptian authorities that the remains are indeed those of Egypt’s most powerful female ruler. Egyptologists in Cairo announced last month that a tooth found in a wooden box associated with Hatshepsut exactly fitted the jaw socket and broken root of the unidentified mummy. If you want to know more about the programme from a manufacturing point of view, there's an article on the Times Herald Record Online website which looks at the making of the programme. With his wispy white hair and worldly look, John Hazard has the demeanor of a man who has seen it all. But even a gambling man could never guess how true that statement is. Hazard, an Ellenville resident since 1988, is a cinematographer who takes a film director's vision and captures the perfect images in his camera. was discovered and identified after 3,000 years. Just another day at the office for John Hazard. Applera Corp-Applied Biosystems Groups announced its collaboration with the Discovery Communications Inc. and Egypt's Supreme Council of Antiquities in establishing the first laboratory in Egypt dedicated to testing ancient DNA samples. The laboratory, which is located in the Egyptian Museum in Cairo, began testing samples of ancient royal mummies dating back to the 18th Dynasty in April as part of a project to identify the mummy of Hatshepsut, Egypt's most famous queen. Discovery Channel enlisted the services of Applied Biosystems as part of a project aimed at discovering and identifying the lost mummy of Hatshepsut, one of the most important women in ancient Egyptian history. The primary purpose of the new DNA laboratory is to assist in the identification of this and other mummies that have been removed from their original tombs, and to clarify familial relationships within and between Egypt's ancient dynasties. This is the first time DNA testing has been used in identifying an ancient Egyptian pharaoh. The new road linking Marsa Alam-Edfo opened for users Sunday 15/7/2007. Tourism Minister Zuhair Garana said he will be inspecting this road upon arriving home from Italy along with the Prime Minister. This road is considered an important one as it would help boost tourist movement from the Red Sea governorate to the tourist destinations in Upper Egypt as it cuts short the distance. Tourists used to take the road of Marsa Alam-Safaga, Qena-Luxor. Now tourists can go directly to Luxor. The new road is 220 kms long with cost of L.E. 707 million. When mummy experts piece together what an ancient person looked like in real life, one key to body type that's a dead giveaway is the size of the mummy's breasts. Paleopathologists who have been trying to reconstruct the appearance of Hatshepsut — whose mummy is the subject of a Discovery Channel documentary on Sunday, July 15 — say they know that Egypt's greatest female pharaoh was obese in part because her breasts were so very large, even after 3,000 years. "Huge and pendulous," Hatshepsut's upper girth immediately caught the attention of mummy experts, according to Zahi Hawass, Egypt's secretary general of the Supreme Council of Antiquities. All of Egypt's royal mummies will get identity checks after scientists found one was wrongly identified as a Pharaoh, the chief Egyptian archaeologist said. Zahi Hawass, secretary general of the Egyptian Supreme Council of Antiquities, said he would use computed tomography, or CT scanning, and DNA to test more than 40 royal mummies at the Egyptian Museum in Cairo. In June, the mummy long thought to have been King Tuthmosis I was found to be a young man who died from an arrow wound, Hawass said. History showed Tuthmosis I died in his 60s. "I am now questioning all the mummies," he said. "We have to check them all again. The new technology now will reconfirm or identify anything for us." The Egyptian Museum has had CT scanning equipment for just two years and its first DNA laboratory was installed in April. husband, Akhenaten -- the radical king, and likely father of King Tut? In a dark and mysterious tomb located in the Valley of the Kings, there is a small chamber with two mummies without sarcophagi or wrappings. At times, both have been identified as Queen Nefertiti by scholars, filmmakers and historians. But the evidence has been circumstantial at best. Now, for the first time, National Geographic Channel (NGC) and Dr. Zahi Hawass, Secretary General of Egypt's Supreme Council of Antiquities and National Geographic Explorer-in-Residence, use a CT scan machine that can go inside these two mummies to get scientific evidence that will establish whether either could be Nefertiti -- and if not, who they may be. The National Geographic Channel will pursue its interest in exploration and expeditions into the unknown with a slate of six new specials centered on such topics as dinosaur fossils, mummies found in China and the mystery of Stonehenge. Also among the topics are an investigation of Egypt's Nefertiti and her husband, Akhenaten, and a collection of ancient human remains discovered in the Pacific Ocean that could signal a new species of humans. Steve Schiffman, the channel's acting general manager, said the network has been airing expedition-centric programming since its launch seven years ago but now is giving it even more of an emphasis. "Expeditions are very much part of our DNA," he said. "Since 1888, the National Geographic Society has funded over 8,000 research projects around the world. For the channel to embrace expedition as part of our programming approach is like breathing. It's who we are."